This video looks at the cover-up of human giants from our history books. Who and what are they? Historic and religious texts refer to the Rephaim – an ancient race of giants or offspring of the Nephilim. 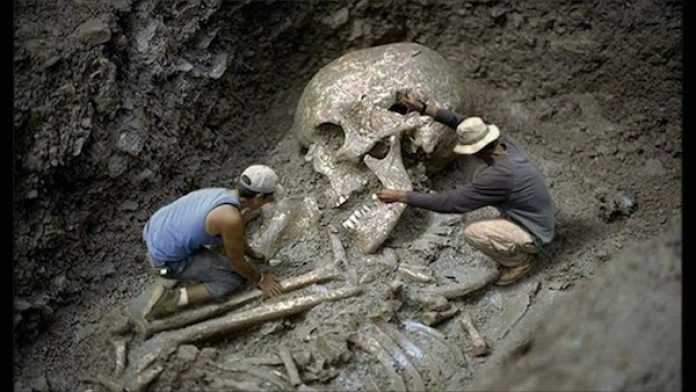 The 200 Nephilim who allegedly colonized this planet and mated with earth women as the books of Enoch and the book of Giants suggest are alien and more in the image of man. Their offspring became mighty giants and men of renown. These are the Rephaim. Not buying it.. at all. The Nephilim were the offspring of the Elohim and the daughters of men. Read genesis.